I recently found this little cross stitch pattern at the craft store and I immediately knew I could “snarkify” it. I mean, as much as I love the sweetie pie sentiment, it was a little too cutesy for me. 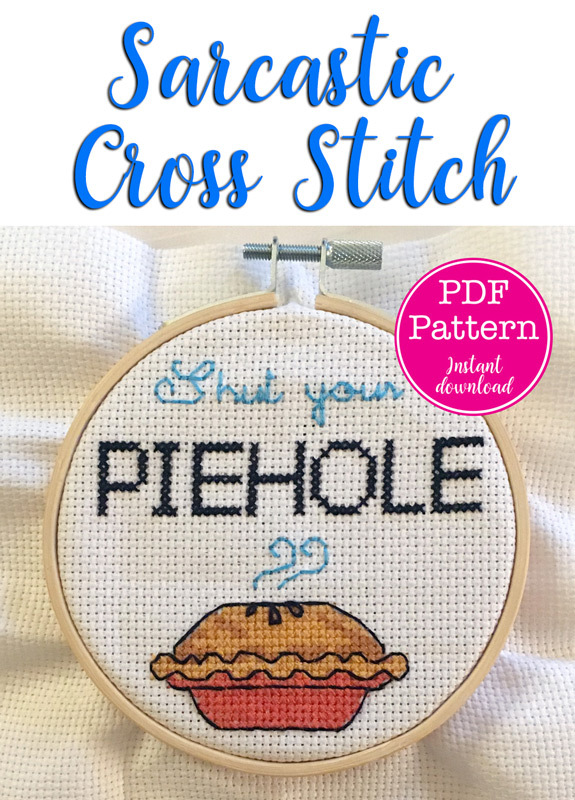 This is a pretty easy project since it features only full cross stitches and a little backstitching. No half or quarter stitches, there are only 5 colors of embroidery floss and the entire finished piece is only about 5x5. A great way to spend an afternoon, getting your frustrations out!